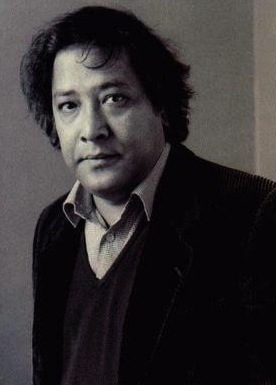 Shiva Naipaul is not as well known as his Nobel-laureate brother, but a devoted minority considers him the better writer, and I do not think there can be much question that he is the only Naipaul with a sense of humor visible to the human eye. He is also the more tragic of the two. Shiva died of a heart attack in 1985, when he was only 40—an important but not determinative data point in the argument over whether he was a bitter, lazy chain-smoking sot, as alleged by Paul Theroux, or the (admittedly whiskey-fond) “humorous, recalcitrant, and denunciatory” genius warmly remembered by Martin Amis. But we can leave that dispute to Britain’s men of letters. The more interesting tragedy of Shiva Naipaul’s life was the way his spirit was broken by the Jonestown massacre. His first book was a comic novel, and so was his second. He never wrote one again. After the late ’70s, it was all Third World journalism and travel writing, apart from one more novel called Love and Death in a Hot Country which was not comic at all. After that bleak book came out in 1983, his wife’s father asked him in a letter whether he might not want to “reconsider a comic vein.” His reply was, “How can I? I have walked over the bodies at Jonestown.” As indeed he had: Naipaul arrived in Guyana less than two months after the incident, when coffins were still being flown out from the capital and native Indians were still laboring over an incineration pit, disposing of whatever remnants—shoes, mattresses, clothes, blankets—were left of the Peoples Temple. Naipaul wrote a book about it, Journey to Nowhere , but that didn’t seem to purge Jonestown from his mind. Friends who’d known him before November 1978 said he was never the same after it. I just want to share my enthusiasm with your for what is going on here. I know you would love it . . . . It is hard to describe all the beauty of the jungle and all that is going on at the Project. But even allowing for the effect it must have had on Naipaul to stand ankle-deep in the mud of the main pavilion breathing in the cleaning crew’s disinfectant, it doesn’t seem possible that he would have been permanently disturbed by the revelation that bothered everyone else, that socialist ideals can end in misery and death. That was no revelation to him. His previous book, an African travelogue called North of South , was written to answer “my own concerns—or, if you prefer, obsessions. What do terms like ‘liberation,’ ‘revolution,’ ‘socialism,’ actually mean to the people—i.e., the masses—who experience them?” These are questions that a man looking to be disillusioned would ask, and because he went to Nyerere’s Tanzania to answer them, he got his wish. It has often been said that the Temple was reared on an idealism which, somehow, became perverted. It would, I think, be more correct to say that the Temple was reared on—or, better still, inherited—an idealism that had already gone wrong, that had already lost its way and been twisted out of shape in the promiscuous chaos of the sixties. Jim Jones was a beachcomber, picking up the flotsam and jetsam washed ashore from the sixties shipwrecks. The “idealism” on which he fed was not virginal but considerably shop-soiled, eaten up with inner decay. There is probably no definite explanation why the events of Jonestown affected Naipaul so deeply. Maybe he was more of a true-believing socialist than his authorial persona suggested. Maybe it was the aftermath as much as the atrocity: Naipaul interviewed dozens of people for his book, and not only could no one agree on the most basic facts— Was it a cult or not? Was Jonestown beautiful or hellish to live in? —but no one, not even people who had been to the commune themselves, seemed any better for having survived to learn its lesson. Defectors found new cults to believe in; politicians denied that their vetting of the Temple had been too lax; those who thought Jonestown was gassed by the CIA (to prevent it from becoming an exemplary socialist paradise) could not be dissuaded. Maybe that’s why Naipaul didn’t pick up social realism when he put down comedy; if people are this impervious to new information, what difference could a book possibly make? My own favorite of Shiva Naipaul’s books is the essay collection Beyond the Dragon’s Mouth , and since half of the pieces in it were written after Jonestown, I don’t think his spiritual crisis did anything to diminish his talent. Then again, I haven’t read his debut, Fireflies , the funny one that everybody loved. (Martin Amis: “The moment I finished his first novel, I felt delight in being alive at the same time as such a writer.”) It’s sitting on my desk now; maybe by the 34th anniversary, I will have revised my opinion. If I’m lucky, I will also have a better answer to the mystery of Naipaul’s midstream abandonment of the humor that had made his career.